In late 2013, the Paiter-Surui indigenous people of the Amazon earned carbon offsets for protecting their forest, and the Surui Fund – which is a governance apparatus developed to manage community finances – began disbursing that income internally in 2014. Some village and clan leaders, however, say the Fund isn’t functioning as it should, and have called for a review. 17 January 2015 | One month after an opposition leader of the Paiter-Surui indigenous people sparked an uncharacteristically public debate about the people’s landmark forest carbon project, several village and clan leaders sent a “letter of clarification” to the Federal Public Ministry (Ministério Público Federal) outlining what they see as flaws in the governing mechanisms designed to handle community finances. In general, the signatories praised the Carbon Project itself, but said the governance apparatus that the Brazilian Biodiversity Fund (Fundo Brasileiro para a Biodiversidade, “Funbio“) created for the community had been slow to disburse funds, and that too much authority had been vested in the Metareilá Association, which is the indigenous organization selected by the Paiter-Surui to implement the project. The Surui Fund – officially known as the Fundo Paiter-Surui – only began to earn income from the Carbon Project in September, 2013 when Brazilian cosmetics giant Natura Cosméticos purchased the first tranche of offsets. Income from that sale was earmarked for institutional strengthening, border control/surveillance and jump-starting economic alternatives to illegal logging. The signatories say that funding began flowing quickly into the community early in 2014, but slowed as the year progressed. It’s not clear whether the alleged discrepancy reflects the Fund’s allocation of income to community-wide programs, or whether it is symptomatic of growing pains or issues that need adjustment. Despite its name, the Fundo Paiter-Surui is more than just a depository for money. It’s a long-term governance apparatus developed by Funbio, together with members of the Paiter-Surui, to operationalize the 50-Year Management Plan that Chief Almir Surui created a decade ago. The Carbon Project spawned the Fundo, but the Fundo and the Project are two separate, symbiotic entities. In the explainer and in the longer Operating Manual, Funbio commits to shepherding the creation of a Deliberative Council (“Conselho Deliberativo” ) and a Conflict-Resolution Chamber (“Câmara de Resolução de Conflitos“) to govern the fund with the Labiway Esaga, or overall chief, acting as administrator. Chapter 8 of the Operating Manual clearly describes the roles of each body: the Deliberative Council is to choose a financial manager and supervise the selection of projects, among other things; the Conflict-Resolution Chamber is to keep information flowing and resolve conflicts; and the Labiway Esaga acts as the voice of the Fundo and has veto power over projects. 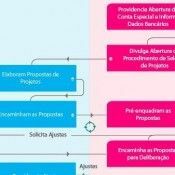 The manual describes a detailed, multi-level process for proposing projects and a system of checks and balances to prevent the concentration of control in any one person or entity. It also lays out an intricate set of procedures through which Funbio will launch and oversee the fund while gradually training members of the Paiter-Surui to assume management themselves over time. Ângelo dos Santos, Funbio’s head of Climate Change and Clean Energy, acknowledged the grievances and said they reflected theFundo‘s stepwise implementation. “This is a process in which the Fund’s structures are implemented in different stages depending on their incorporation by the Suruí,” he said, adding that Funbio was reviewing the grievances and would provide a detailed response shortly. Chief Almir said he was reviewing the grievances with the signatories, and he would offer a formal response early next week. While the manual describes an emerging participatory process involving all of the various clan associations and the creation of new associations to handle new business areas, the signatories say the reality is a more concentrated. They often, however, refer to the governance structure (Fundo) as the “project”, which has led to confusion outside the community. They called on Surui leaders to decentralize the implementation of the community-assistance work financed under the project, and they also called on federal authorities to monitor illegal logging and to take an active role in supporting the project. “We expect that the Federal Public Ministry, in addition to monitoring the illegal logging, also monitor the correct implementation of the Project, because it is an innovation and might serve as an example to other indigenous peoples, if well executed,” they wrote. The grievances come amid general stock-taking involving internal and external actors. In July, for example, Metareilá Association invited an outside consultant to carry out a workshop assessing its governance, and that workshop produced recommendations for better integrating all the Surui communities to benefit from the Surui Carbon Project. It is not clear, however, which of those recommendations have been implemented. The Carbon Project is also undergoing verification from external auditors under the rules of the Climate, Community and Biodiversity (CCB) Association as part of the normal procedure and safeguards for projects of this caliber. The verification includes an assessment of governing structures, and it is expected to yield similar recommendations. The signatories also defended the motivations behind the resumption of logging by some families, which they say began in 2012. That was three years after they implemented a logging moratorium to support the carbon project, two years before funding from the carbon sales started to flow into the community in January 2014. The wording of the list of grievances is at times confusing, with the Carbon Project and the Fundo Paiter-Surui being used interchangeably. In the final paragraph of their clarification, for example, the signatories deviated from the messaging in the bulk of the document and appear to call for the carbon project to be terminated, but they also call for more autonomy given to the associations. In context, and given the earlier support of the project and references to the Fundo as the “project”, the paragraph could refer to the Fundo or some of its mechanisms. Furthermore, several of the signatories, including former overall chief Anine Surui, had recently voiced support the project but criticized the administration of the funds. Ecosystem Marketplace has reached out to Anine and others for clarification, and will provide an answer as soon as we receive it. The signatories offered a detailed breakdown of expected financial flows vs. actual flows, and they pointed out that many of the chiefs went without compensation in the years during which the project was working its way through the four-year process of verification and validation. But they said disbursal slowed down as the year progressed. The letter also says that 2014 funding to associations for general administration fell $R1,000 ($382.00) short of expectations. Chief Almir acknowledged that some of the funds had been held up over concerns about how the first tranche was spent, but he pointed out that most of the allocated funds had been disseminated to the community. Both he and Funbio’s dos Santos said they would provide a detailed response shortly.